Prams are a big ticket item, they’re right up there as one of the baby must-haves as well as one of the (many) things that are going to tug at the purse strings. When something costs big dollars, you want to protect it – and if there’s anything that needs protecting from a baby (apart from your favourite black shirt) it’s your pram. 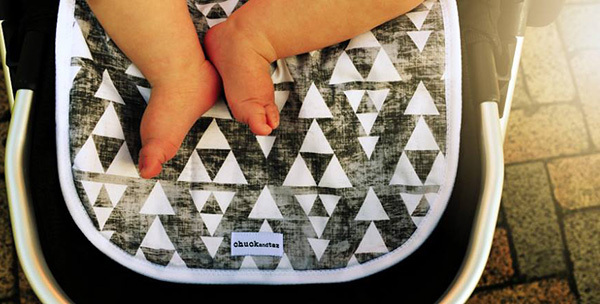 Now you can do that in serious style with uber cool Chuck and Taz pram liners. 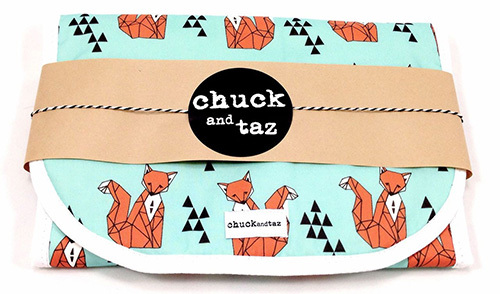 My pram pushing days are behind me but heck, I’m still excited for those who will be giving their pram a functional makeover with a stunning pram liner from Australia’s own Chuck and Taz. A collection showcasing an amazing selection of contemporary on trend fabrics, these liners are designed to fit most prams. Two sizes are available, standard and small, to be sure on which you need, check the specs on Chuck and Taz’s information page. In the event of spilt milk, a soggy rusk or a nappy leak, clean up is simple – Chuck and Taz liners are made from cotton and can be tossed in the wash on a gentle cycle and line dried with no drama. Head over to Chuck and Taz to see the whole line up of liners, priced from $53.